Handcrafted in Devon. Sustainable local wood. Personalise with a name and a line of message. 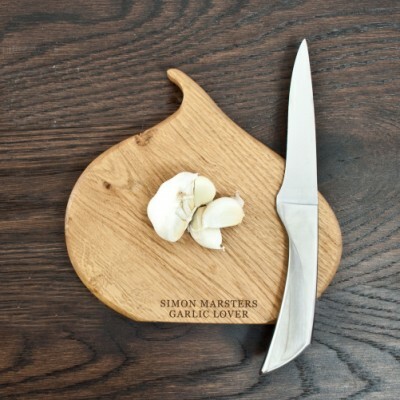 The words 'Garlic lover' come as standard. Dimensions: 19cm x 18cm x 2cm.